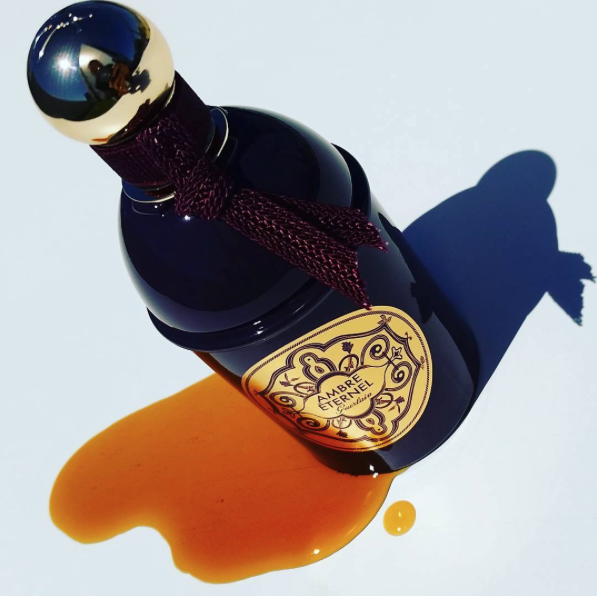 In 2014, Guerlain perfumer Thierry Wasser introduced Santal Royal, the first scent in a series of fragrances directed firmly at the middle eastern market. Les Absolus d'Orient explore exotic raw materials common in the East, and 2016, Guerlain has launched it's second Ambre Eternal. I feel - before I write my actual review - that the term 'amber' deserves some disambiguation. You see, it's somewhat common in the fragrance world - particularly for newcomers - for one to be bamboozled by the term. Here on Sorcery of Scent, I've blogged before about vegetal amber (i.e. : the hardened nuggets of tree sap, fossilised over many decades), and this is the component that many recognise when one sees the 'amber' being used in a perfume pyramid, or in a perfume's name. The scent profile of this type of amber is characterised usually by a blend of individual components such as labdanum, vanilla and patchouli. The 'other' amber, however, is grey amber (ambergris) - a by-product of the sperm whale which is highly coveted by perfumers for it's fixative qualities. Ambergris is formed in the gut of the sperm whale, whose diet comprises chiefly of squid. The hard squid beaks and cartilage that is not easily digested by the whale remain in the intestine, and over time, is covered by a thick, waxy intestinal secretion that grows and grows in size as the whale ages. Whilst many have suggested that the whale somehow passes this colossal blob from it's body (through regurgitation), the truth is that the process has never been witnessed and thus cast's a shadow of doubt. Others believe that the whale in fact perishes as a result of this intestinal obstruction, and when the carcass is eventually broken down by sharks and other feeding marine animals, the indigestible mass is released into the sea, where it floats for many years, taking on a richer, marine/balsamic quality. The reason for the short lesson here, is because Ambre Eternal is much less the former, (vegetal amber) and much more the latter (grey amber). This excites me no end, as ambergris interpretations in modern perfumery are scant, and perhaps none I find more enjoyable than this new Guerlain release. With expectations of a honey-like sweet amber extinguished, one can approach Ambre Eternal with a sense of excitement, because it is quite literally like nothing you might have imagined. First of all, for one, it feels very Thierry Wasser. By this, I mean it does not hold any olfactory markers that liken it to the Jacques and Jean-Paul creations of the house... rather, it pushes forward just as one now expects from Thierry's work; that is, it continues to plot a new point in the arc that is the new Guerlain of the two-thousand-and-teens. Ambre Eternel has a curious flight - one which instantly veers away from the usual Guerlain citrus/floral quickstep, and instead feels somewhat ashen and animalic from the outset. A spiced scattering of dry coriander and cardamom seed introduces an almost-instant ambergris / leathery feel... a sense of balsamic earthiness that immediately tells you this is not a(nother) vegetal amber interpretation. A very delicate peachey/ylang-ylang ribbon underpins the composition; never quite reaching the dizzying heights of Mitsouko et al, but rather, acts as a supportive strut to the composition, lending a light tenderness to what feels like quite a gruff, masculine framework. Precious woody notes play off the slightly salty ambergris, which leave a dry sensation at the back of the nose. But somewhere within - as Ambre Eternal warms on skin - there is a curious fleecy, almost waxy facet. It is warm, husky and very animalic - perhaps much like one might imagine the back of an elephant's ear to smell of. There is something organic about this perfume as it warms on skin, and this gives it a sultry, somewhat carnal quality. Ambre Eternel ticks many boxes for yours truly. Not only does it highlight again that Wasser is indeed a master of his craft, but it also shows his startling innovation and incredible restraint. Wasser has recognised and demonstrated here that Middle Eastern perfumes need not always shout... rather, they can beckon and haunt; like the stirring song of a whale. Ambre Eternel is available as a 125ml Eau de Parfum from selected retailers and on guerlain.com. 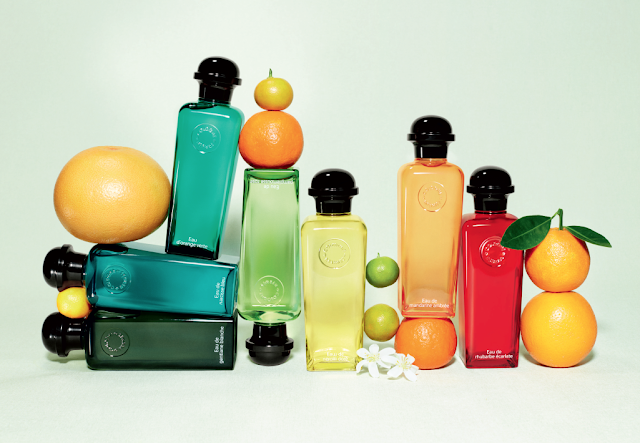 Be on the look out for 2 more scented reveries from the house of Hermès this year! 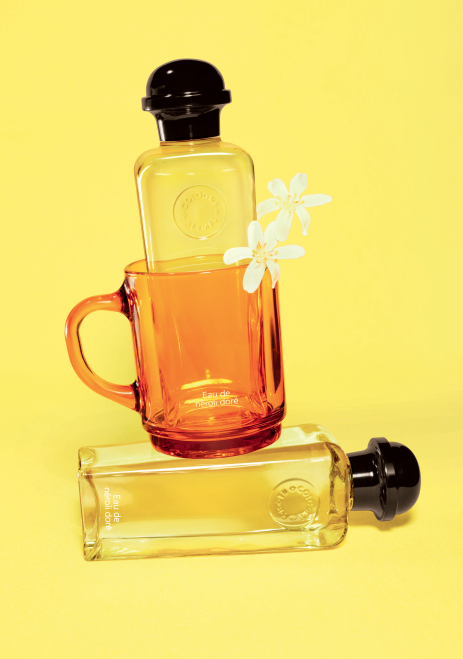 Eau de Neroli doré and Eau de Rhubarbe écarlate are set to bring some colour and zest to 2016 in true Hermès fashion: a pair of vivacious and bracing tonics that beg to be worn with abandon. 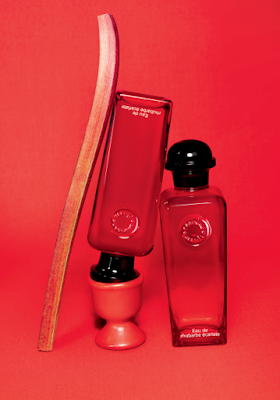 The former, created by in-house nose Jean-Claude Ellena promises vibrant and enveloping freshness, and the latter - the creation of perfumer Christine Nagel, boasts a unique red/green freshness which is both sharp, crisp and mild. With Eau de Neroli doré, Jean-Claude Ellena's fifth creation in the Cologne family, he has given free expression to the raw materials and to the memories of his Mediterranean youth. Neroli, the essence extracted from orange blossom, named after the 17th century Italian Princess of Nerola, in fact used it to perfume her gloves. "When I started out in the profession of perfumer", says Jean-Claude Ellena, "I learned to distil raw materials, including orange blossom. When you enter the world of stills, you are immersed in the scent, impregnated with it, you become it. My entire being was fragranced with orange blossom. To reproduce this sensation, where normally one uses very little neroli in fragrances, I used it abundantly, with abandon, as never before". And to pay tribute to his cherished Mediterranean, to its history, its sunshine and its spices, he enhanced this golden neroli with saffron. With Eau de rhubarbe écarlate Nagel creates a unique and bold freshness that is more vegetal than citrus. More textured, more marked, it offers a new sensation that reawakens the memory of inhaling the scent of rhubarb in the garden before its picked. "When you work with rhubarb stalks", explains Nagel, "when you reproduce simple age-old gestures, the scent bursts forth. I have always liked the duality of rhubarb, both visual and olfactory. Its green colour metamorphoses into red. From acidic and crisp, its scent becomes smooth and velvety". Nagel has sought to amplify certain olfactory traits... she sought a fleshy and delicate rhubarb, exalted to the point of yielding a scent of refined white musk. Brisk and invigorating, the act of spraying it on oneself diffuses freshness, and no more needs to be said. It is self-evident. The two new colognes will be offered in 200ml, 100ml and 15ml sizes, and will also be introduced as part of the Le Bain d'Hermès line. For more information, visit hermes.com.